After quite a long break, we’re back to continue to update this blog. CNR-ITABC in Rome has been working hard on creating a new version that has been demonstrated at the Italian Science Festival in Genua (Oct 25 – Nov 4, 2012) and at the ArcheoVirtual exhibition that took place in the context of the Borsa Mediterranea del Turismo Archeologico in Paestum, Italy (Nov 15-18, 2012). At the Science Festival, many children could use the application, which was hosted and evaluated by the V-MusT European network. The V-MusT stand had about 4000 visitors. 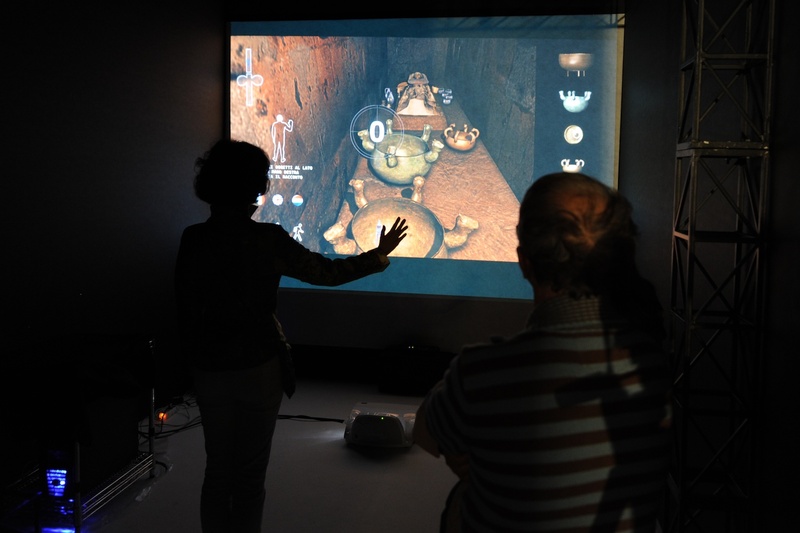 At ArcheoVirtual, where a large number of new virtual museum applications where demonstrated, the Etruscanning3D application was also evaluated by the V-MusT team. 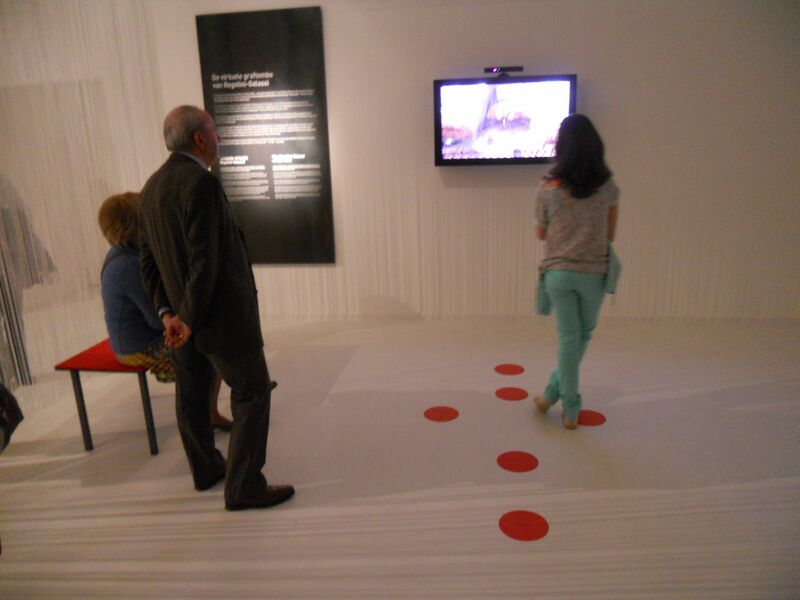 The visitors were very positive about the new application. 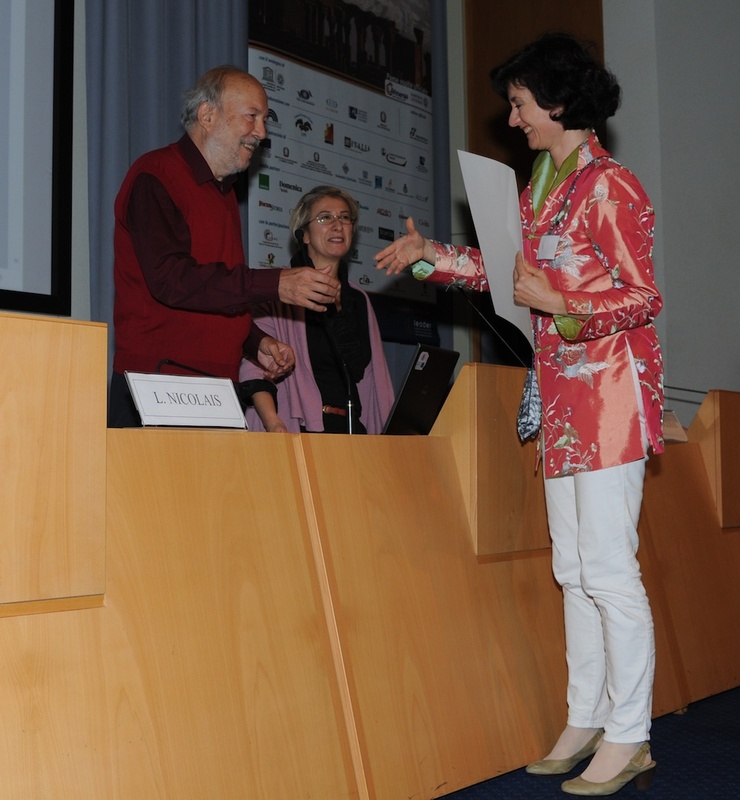 At ArcheoVirtual, Etruscanning3D received the Award for best application in the category “New Interaction” and was the virtual museum that was appreciated the most by the visitors of the exhibition. 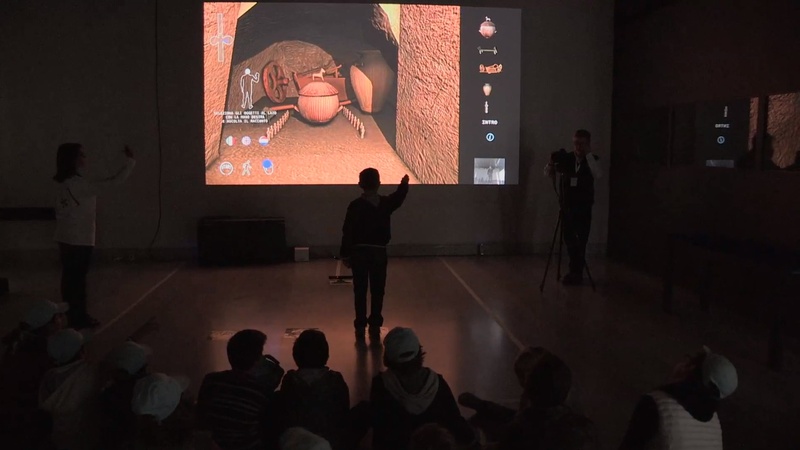 The new version not only contains many more digitally restored objects, but allows also to navigate freely through the tomb and to select objects. 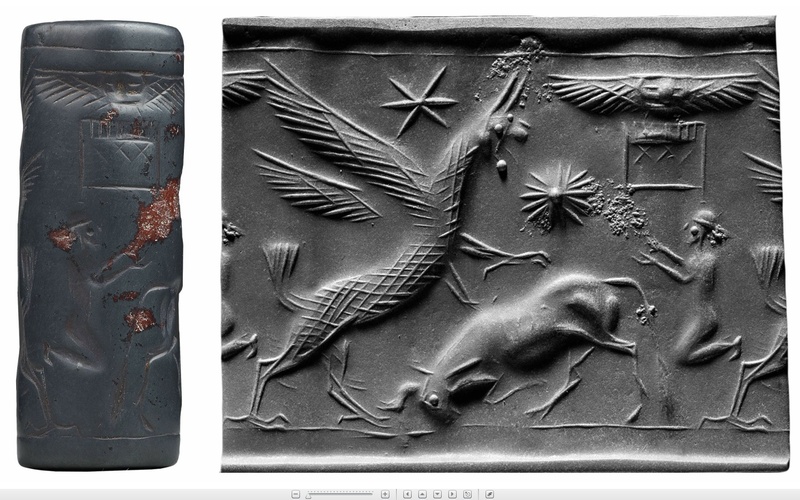 You will read more about the digital restoration of the objects in the next posts of this blog. 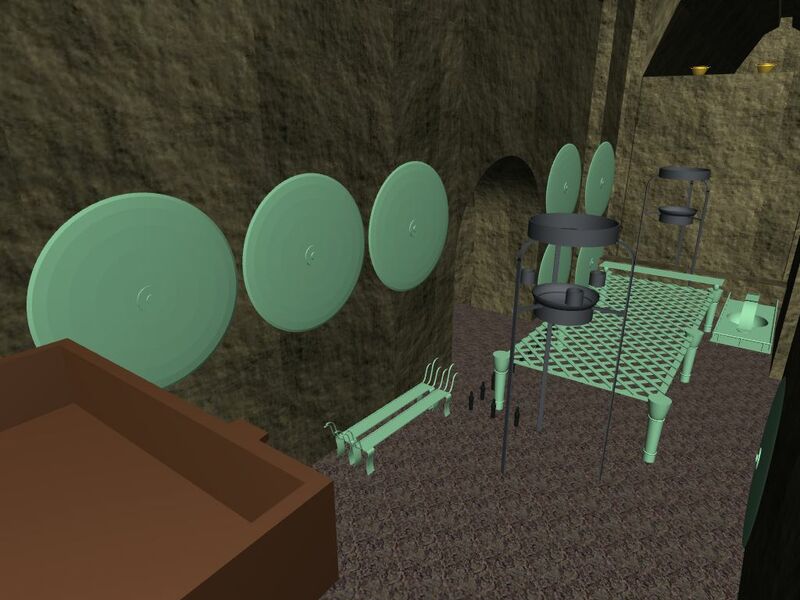 In April 2013, the new version of the Etruscanning3D application will be installed permanently in the Vatican Museums. When browsing through the list of objects in the Regolini-Galassi tomb, many objects seem to be related to incense burning. In recent years however, the understanding of Etruscan funeral rites has improved a lot through study and archaeological research. In this blog entry, we try to look into the possible interpretations of the incense related objects in the RG tomb. 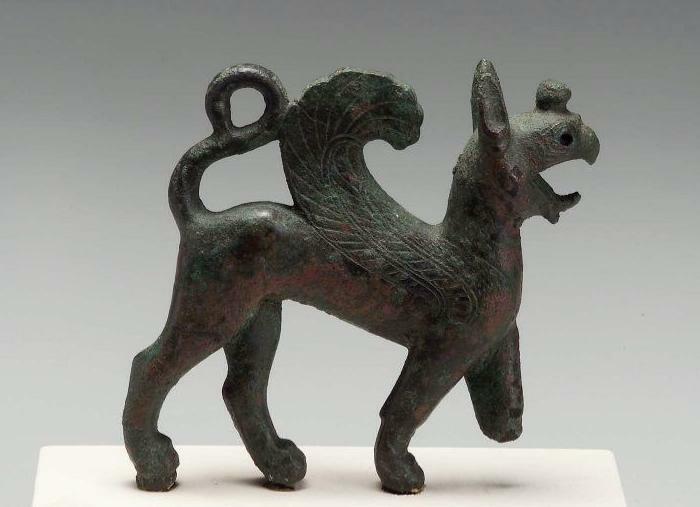 When we have a look at Etruscan incense burners, we see that these objects (also called thymiaterion) only appear from the 6th century BC and consist of a small bowl (max. 15 cm) on a pedestal. 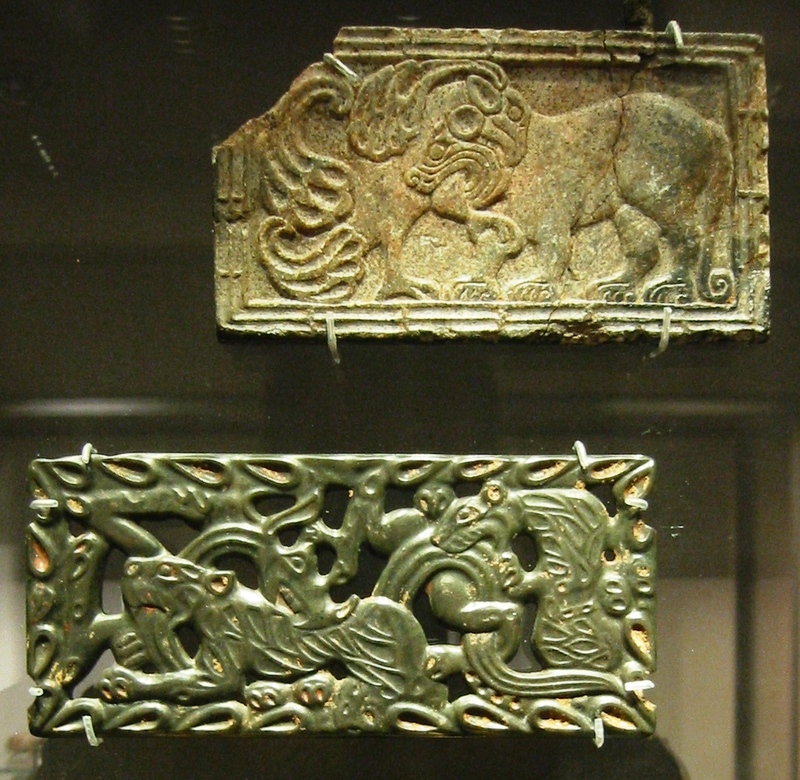 None of the objects in the RG tomb are similar to these typical incense burners. 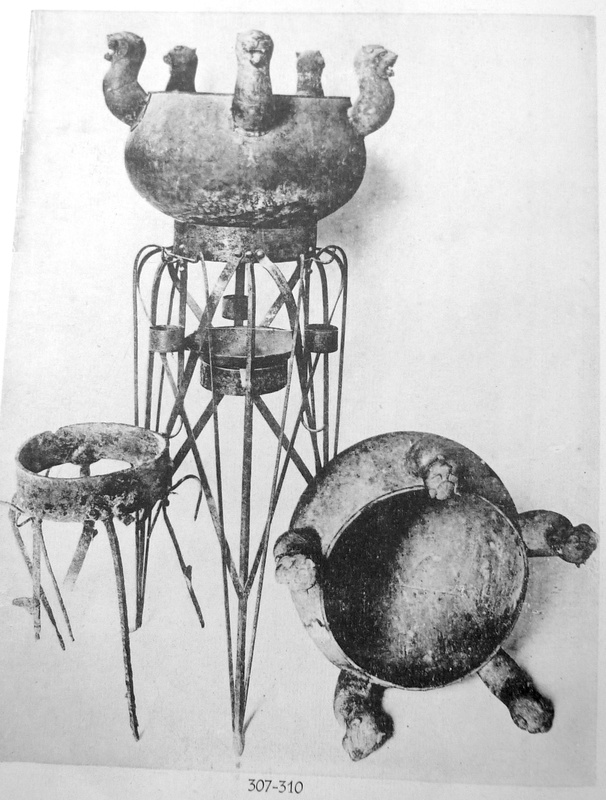 On the other hand, the larger tripods from the RG tomb have a support for a heating source but also do carry additional holders that could be used for incense burning (see image below). 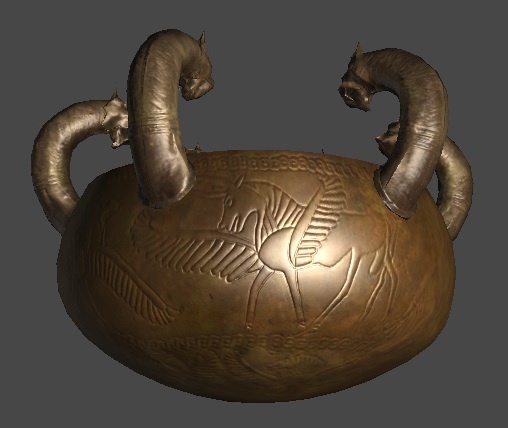 The second object in the RG tomb that many authors link to incense burning is the bronze holmos. 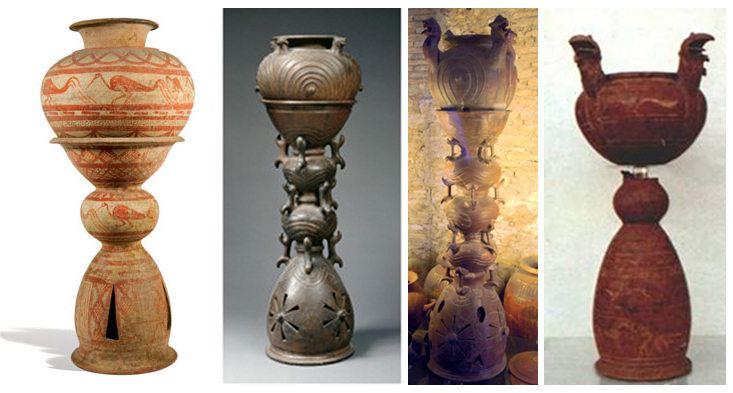 When we analyse the different Etruscan objects that are described as holmos, we see an evolution (see image below) from a very practial kitchen tool, 25 cm high, that supports and heats vessels through burning charcoal in the lower part, to a more elaborated stand (over 1 m high) that still looks like having the same function, but with one or two spherical parts added between the foot and the support. These spheres allow the smoke and sparks to settle. The “handles” between the spheres provide additional strength and handling capability when turning the holmos upside down to remove the ashes after use. However, many holmoi that we have today come from graves, where they probably had a symbolic function and were not designed to be operational. 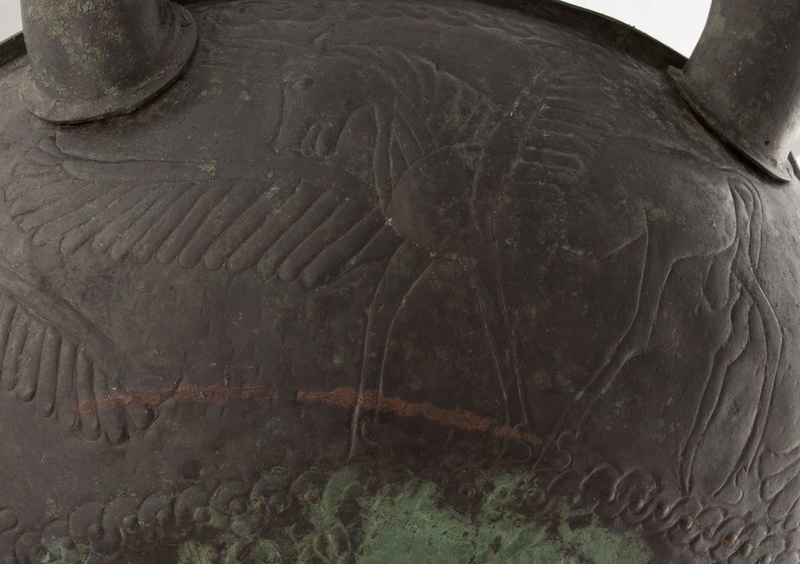 Especially the bronze holmos that has been found in the RG tomb (see a similar example from Praeneste below) looks like being purely symbolic, but still referring to food preparation to my opinion. In any case, it could serve as a stand to carry some bowl or vessel (as shown below). Pareti expressed doubts that the holmos of the RG tomb could support a lebes (as they are quite heavy as they are cauldrons for real use), but we consider it as possible that it could carry the smallest 6-headed lebes. 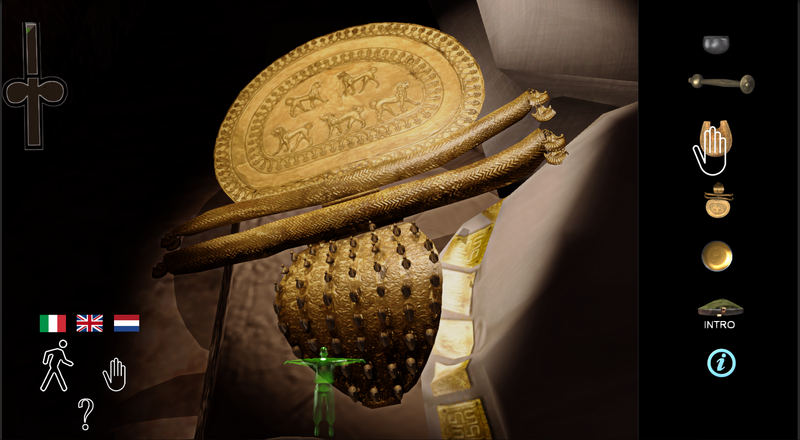 One of the decisions that we need to make in this virtual reconstruction of the RG tomb, is the place of the three lebetes and the bronze holmos. The most logical solution is to put the two identical 5-headed lebetes in the cella and to put the smaller 6-headed lebes on the holmos in the antechamber. 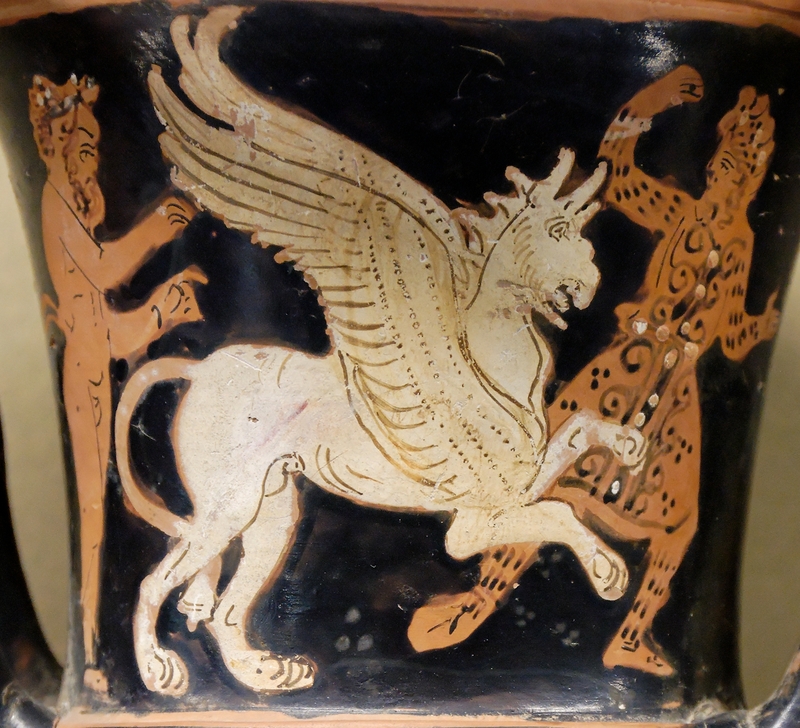 As described before, in the early drawings a 5-headed lebes is missing and the holmos is always depicted empty. So what is the solution ? As there are many elements that make us believe that the two persons that found their last resting place in this tomb are man and woman. 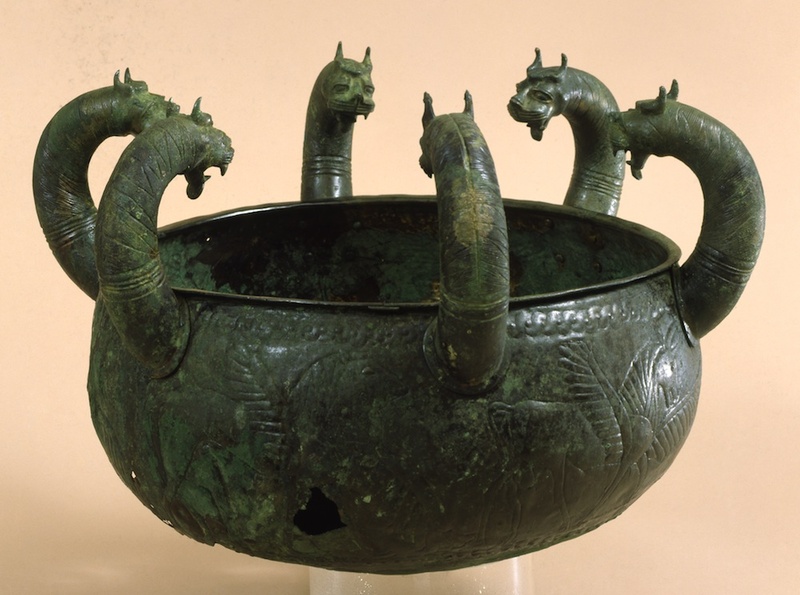 As the lebetes are real bronze cauldrons, used for cooking, they could come from the same household, so it is conceivable that one 5-headed lebes was put in the cella as a funeral gift for the woman, and an identical 5-headed lebes was also given to the man as a funeral gift. As the lebes was too heavy for the funeral holmos to be put on top, it was put in the storage room (the left niche). In other words, we should see the lebetes purely as objects linked to cooking (hence playing a role in the funeral banquet and given to the deceased as a utility for the afterlife). The incense reported by Mrs. Hamilton Gray (Tour to the sepulchres of Etruria in 1839, pg. 25) can be present in the small recipients of the iron tripods (see above). The same holds for the empty tripods in the antechamber. These tripods were used during the funeral banquet (hence empty) or were just symbolic as a utilitarian object for the afterlife. 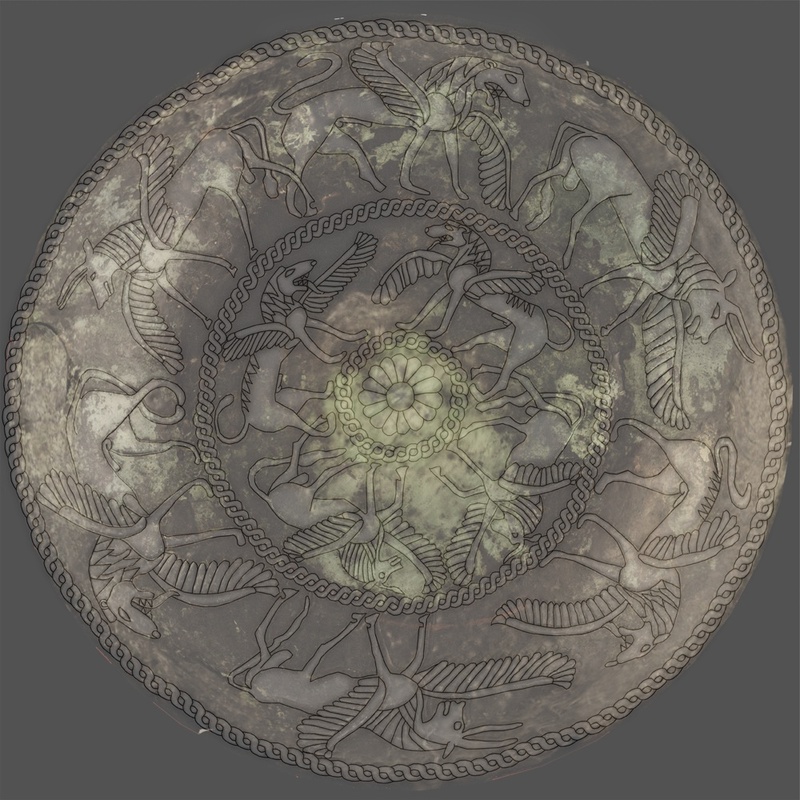 The next object is a bronze cart. 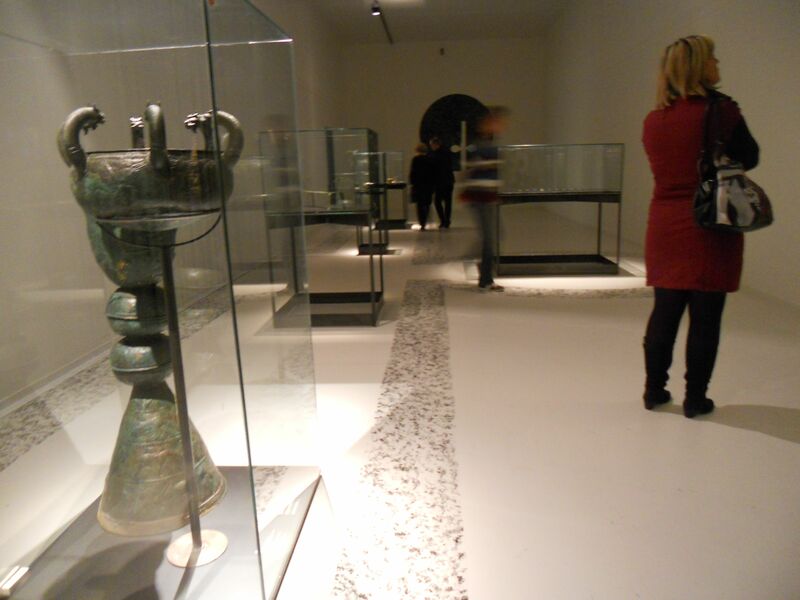 All drawings of the RG tomb show, next to the bronze bed, this peculiar object, described as incense burner on wheels. But was this cart really used for incense burning? 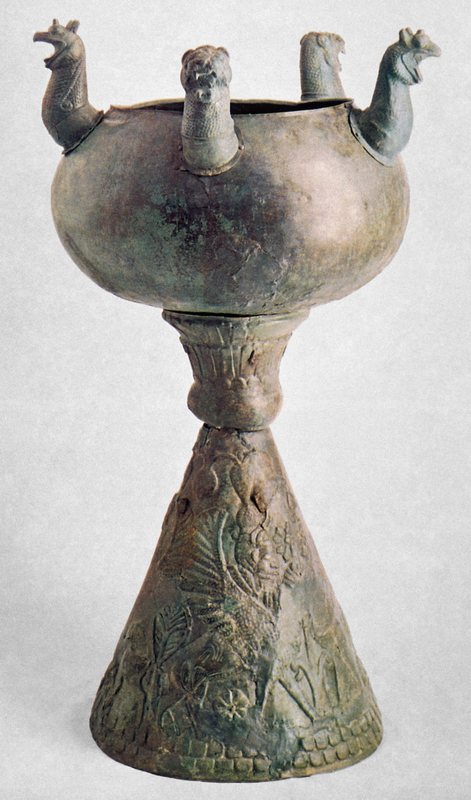 This cart consists of a large bronze “table” of 104 by 30 cm on wheels, bordered with stylised plants, a bronze bowl of 27 cm wide and an overarching bronze support with a round centrepiece on which a vessel could be put (see images below). A very similar cart has been found in Vetulonia, but is described by Randall-MacIver as a food-cart or porta-vivande. The only functional difference with the RG cart is that there are two vessel supports above the bowl instead of one. To our opinion, the bronze RG cart makes much more sense as food cart than as incense burner, as the bowl could be filled by charcoal, a vessel could be put on top of the overarching support to be heated or kept warm and food or objects can be placed on the table surface. Probably both carts are not sturdy enough to be used in real life and are kind of symbolic copies of real life objects. A somewhat similar cart was found in Bisenzio, which again consists of a support for a vessel, with a holder for a heating source (one side of the cart has no decoration to provide access to put the heating source). Again, this device seems more appropriate for serving and heating food than burning incense. More and more authors are convinced that the bronze bed, that we have in the antechamber, is an empty bed and that the remains of the deceased are the cremation rests in the large cinerary urn in the right hand side chamber. 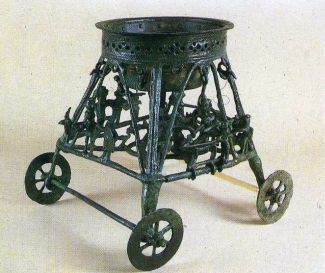 It is conceivable that the absence of incense burners is simply linked to the fact that there was no decaying body and no need to mask the odor, hence that all objects such as the tripods, the holmos and the bronze cart have to be interpreted as objects linked to a funeral banquet. The point that we want to make here is that in this Regolini-Galassi tomb, we find very few objects that directly can be indentified as incense burners. 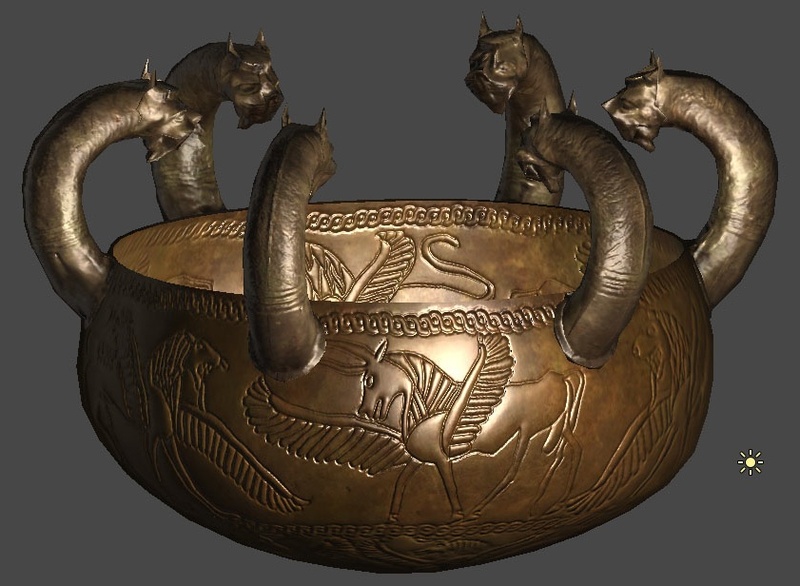 In the cella, we probably have two bronze cauldrons (lebetes) on tripods, which carry additional small recipients that could be used for incense burning. The cauldrons on tripods rather have to be associated with a funeral banquet, the tripods carry a bowl under the cauldron in which a flame can be burning to heat the cauldron. Incense was reported to be present in one of the vessels, possibly in the small recipients of these tripods. In the antechamber, we have empty tripods, again with a support for a heating device, a bronze holmos, two bronze cauldrons and a food cart. All are food related objects but no incense burners. 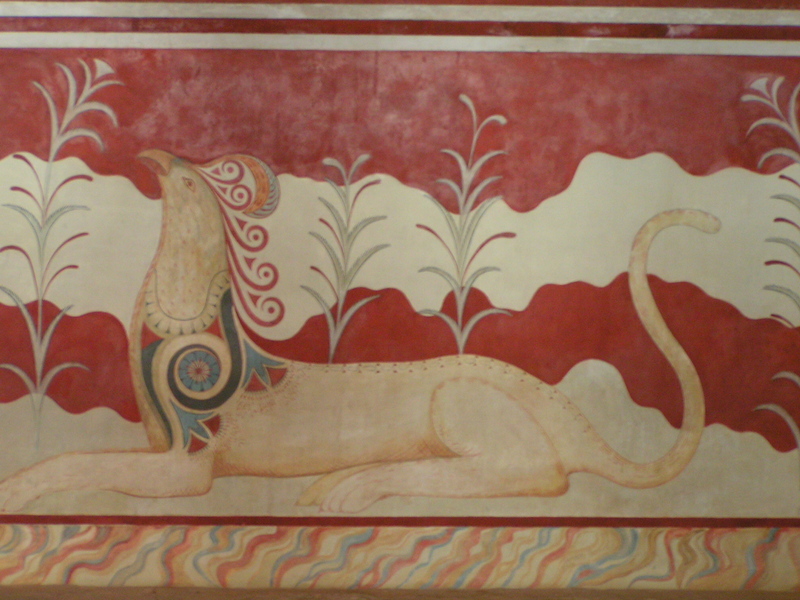 In our opinion, nearly all objects in both the cella and the antechamber need to be interpreted as objects that were used (or at least symbolised use) in a funeral banquet. 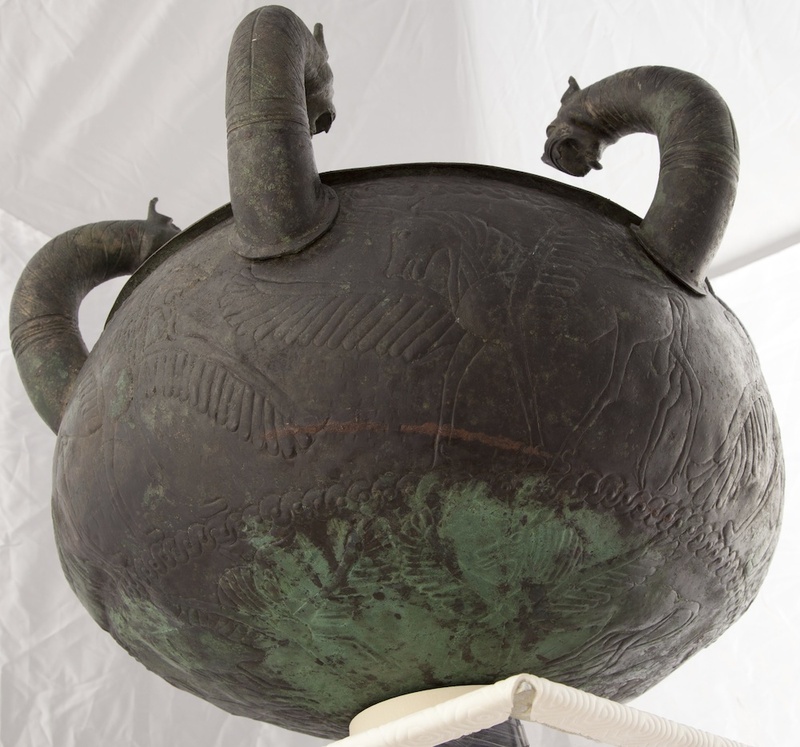 The Regolini-Galassi tomb contained three large bronze cauldrons, decorated with animals heads, so-called lebetes (see previous entry). 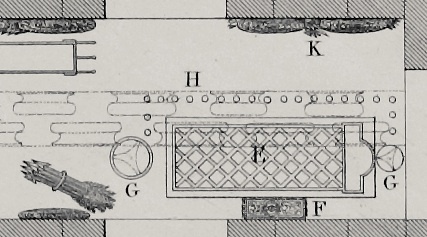 When trying to visualise the RG tomb in its original state, we not only come across the question where these three lebetes were positioned (see the first Lebetes Mystery) but also how (in other words, if they had a certain support and if yes, which one). Currently, we know about two nearly identical iron tripods that have the right dimensions to carry the lebetes (Pareti catalogue, numbers 308 and 310). In the Vatican museum, the two 5-headed lebetes are displayed on top of these tripods. 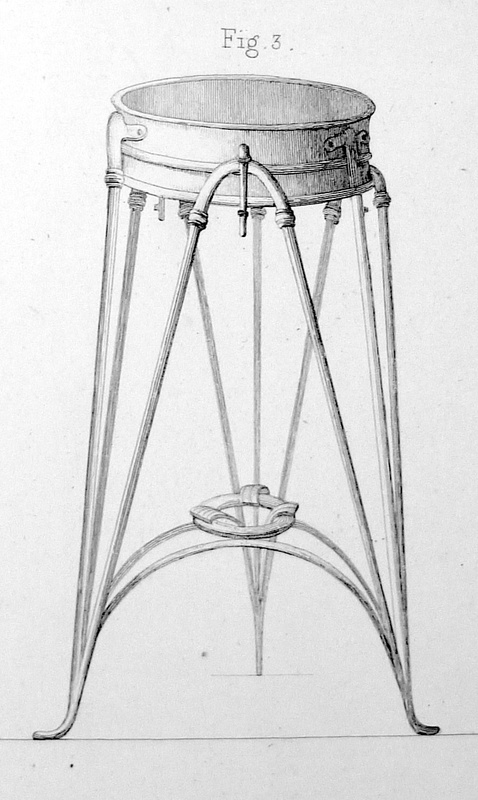 In fact, as they are heavily damaged and corroded, one lebes is shown on a physical reconstruction of the tripod (as can also be seen on this image below from the Pareti catalogue from 1947) . 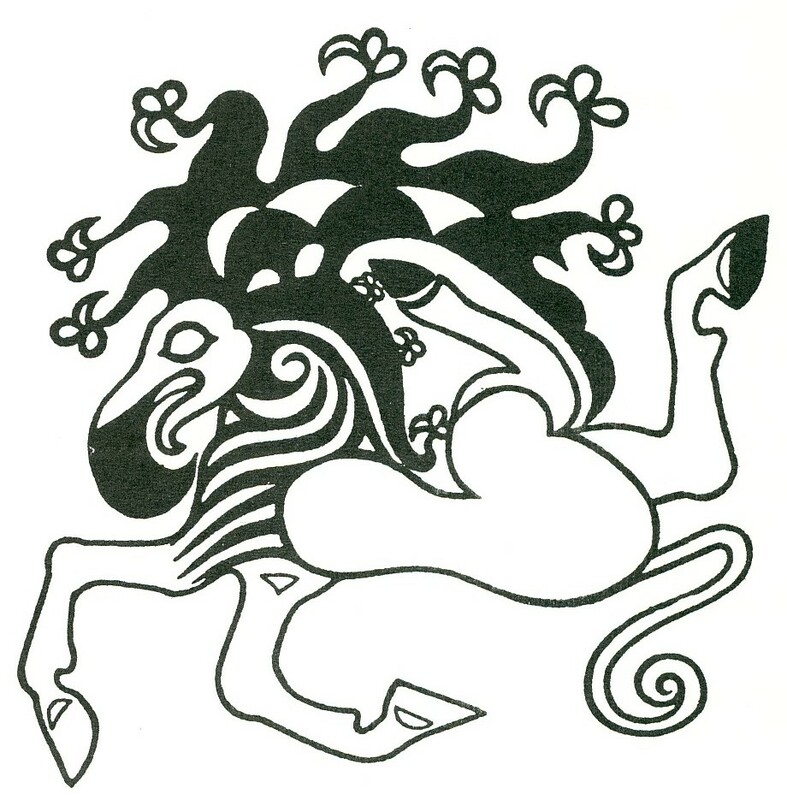 On the other hand, both Grifi (1841, tav. VI) and Canina (1846, tav. LVIII) describe and depict in detail another iron tripod and note that there are two of them. In the Vatican museum, we currently have a very similar tripod in bronze from one of the tombs that surrounded the RG tomb (i.e. 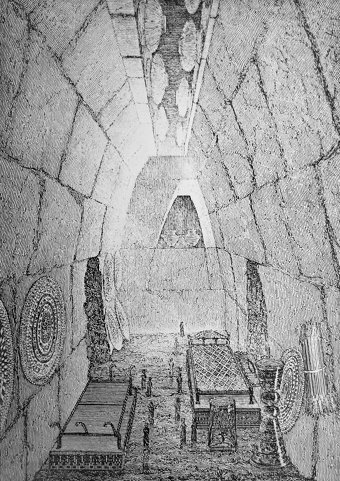 the Tomb of the Tripod), but the Canina drawing is too detailed and the differences are too many and too obvious to accept that Canina confused both objects. Both Grifi (1841, tav. 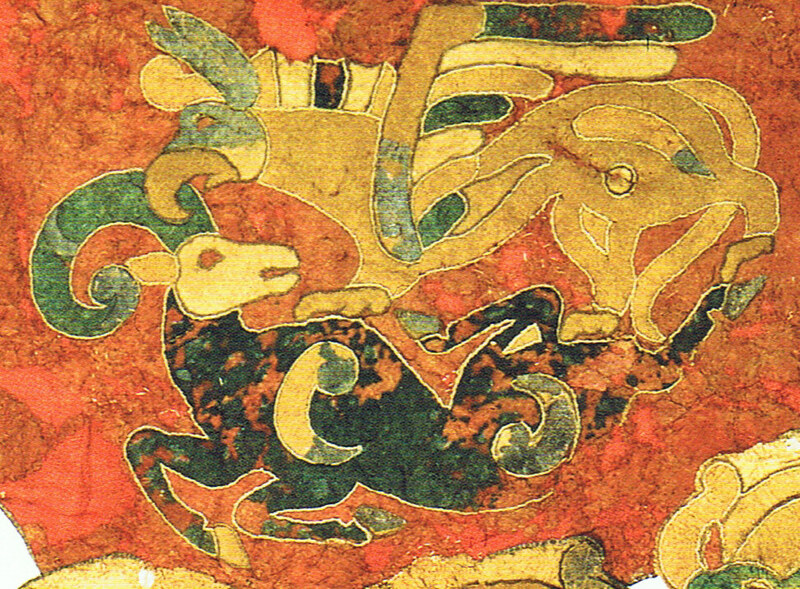 XII) and Canina (1846, tav. L) have clearly depicted these tripods (see letter G in the image below, compare with the 1836 image in this blog entry) so we need to accept that there were two more tripods in the tomb that we don’t have anymore today. The tripods were maybe in bronze, not in iron, as the drawing above suggests a very good conservation. 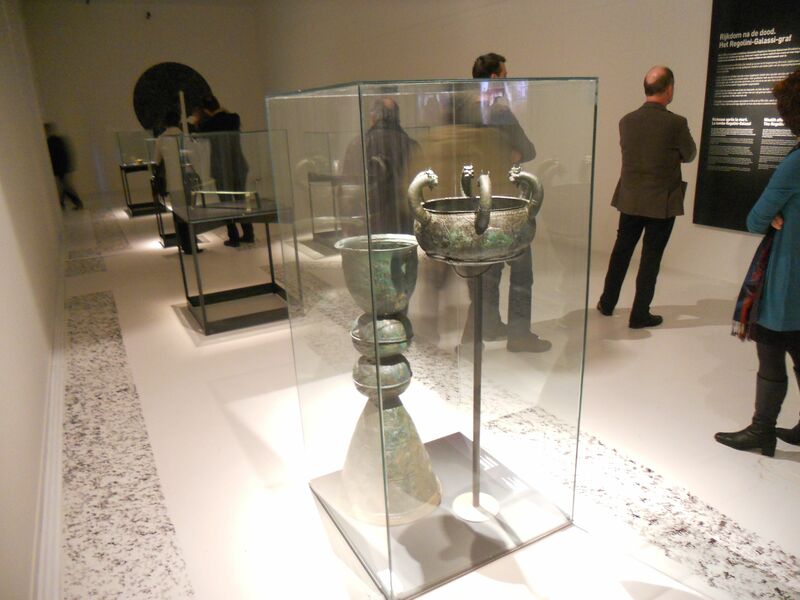 Finally we have also a bronze holmos that was standing in antechambre. 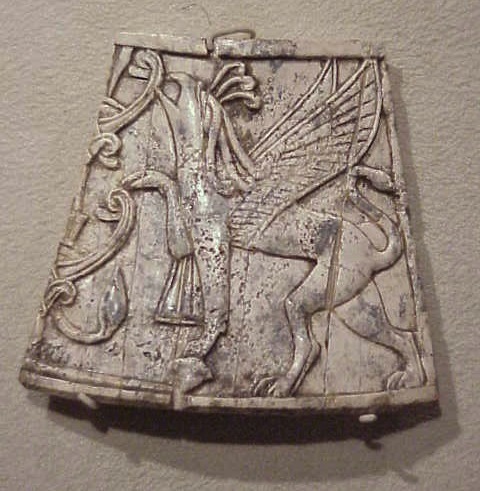 The combination holmos – lebes is very common for ceramic versions (see examples below), so we could envision that one of the lebetes was positioned on the holmos. All inside views of the tomb by Grifi and Canina (see below) show that the two tripods next to the bronze bed are empty, so we have three lebetes, five possible supports for the lebetes and two of them are empty, so this looks easy : we put the two iron tripods in the cella with a large and a small lebes on top, and we put the third lebes on the holmos (see 3D visualisation). 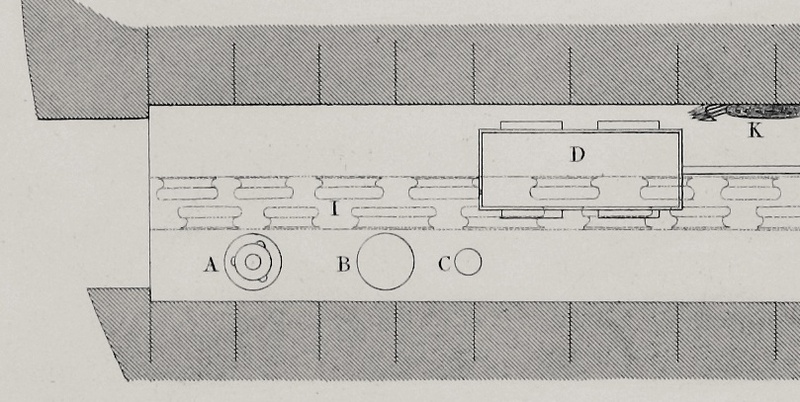 But this does not comply with the available evidence, the holmos is always depicted empty, both in perspective views (see image above) and in the plan views by Grifi and Canina below (indicated as B). Pareti notes very correctly that the heavy lebetes could not be put on the holmos, which is made of thin sheets of bronze, and not capable of carrying heavy weights. So it is quite probable that the holmos did not carry any object at the closure of the tomb. And there are more observations that lead us to believe that the holmos was not used as support for another object. 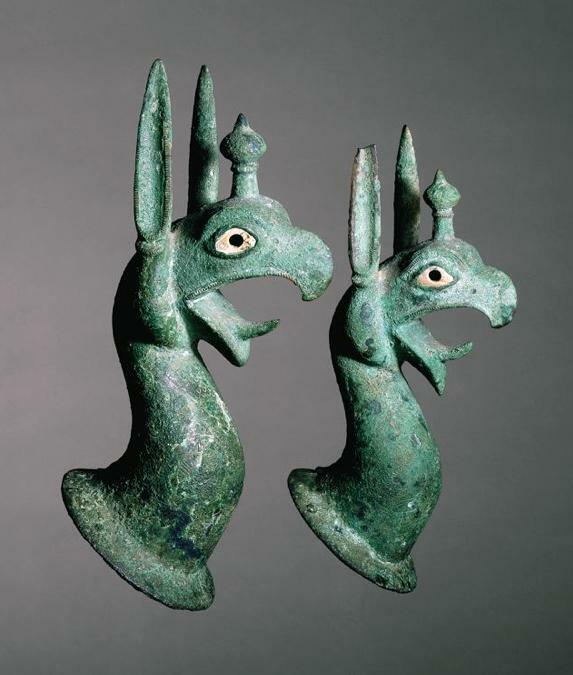 First of all, we have to notice that the bronze holmos is not at all functional, it is most probably a bronze replica of a ceramic holmos. 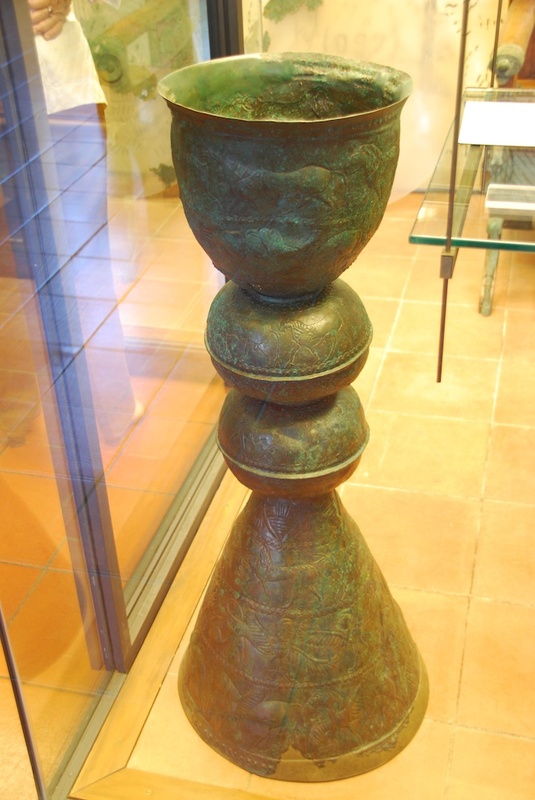 A ceramic holmos was used for cooking and warming food, with charcoal burning in the cone shaped foot of the holmos and hot air flowing between the bell shaped top part of the holmos and cauldron, standing on the holmos. 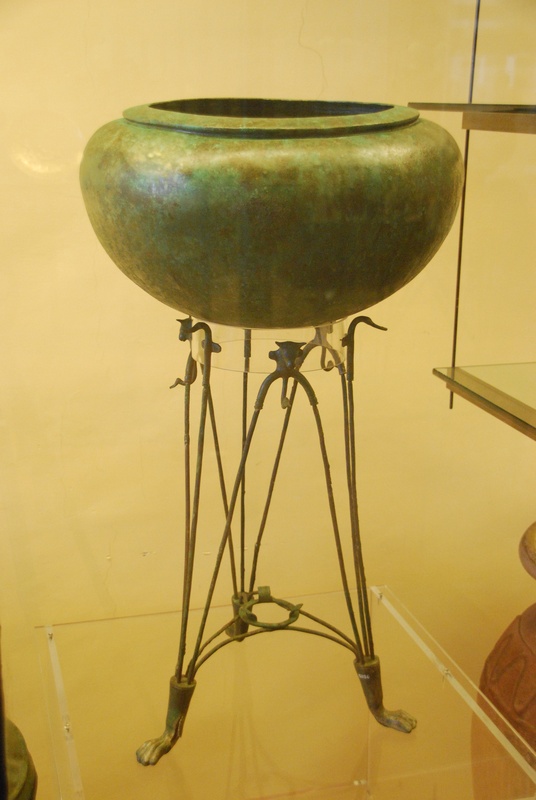 The top part of the bronze holmos of the RG tomb is closed on the inside, so it can not function at all, hence it is a replica for funeral use, depicting a household device for cooking. Also, nearly every holmos we know today is made of ceramic material, there are nearly no bronze ones. 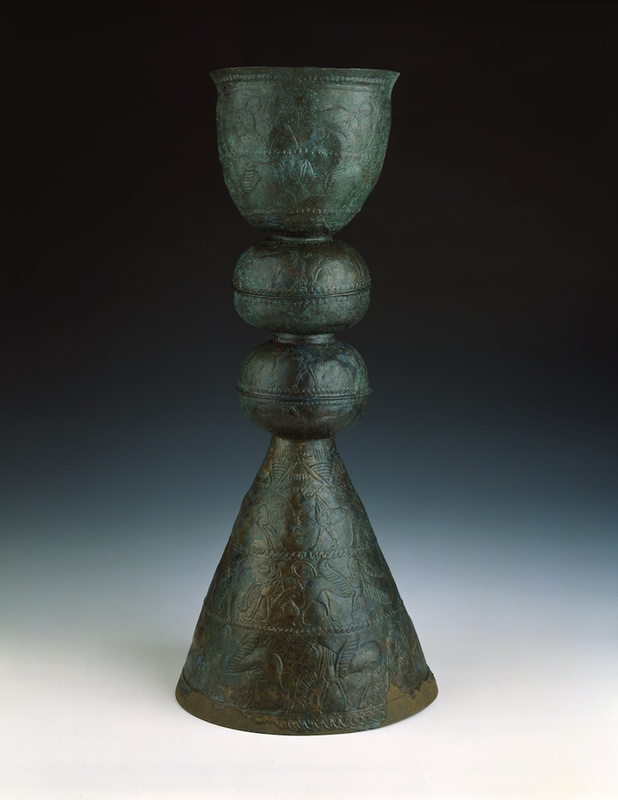 Secondly, it has been proposed that incense could be burning in the top part of the bronze holmos. 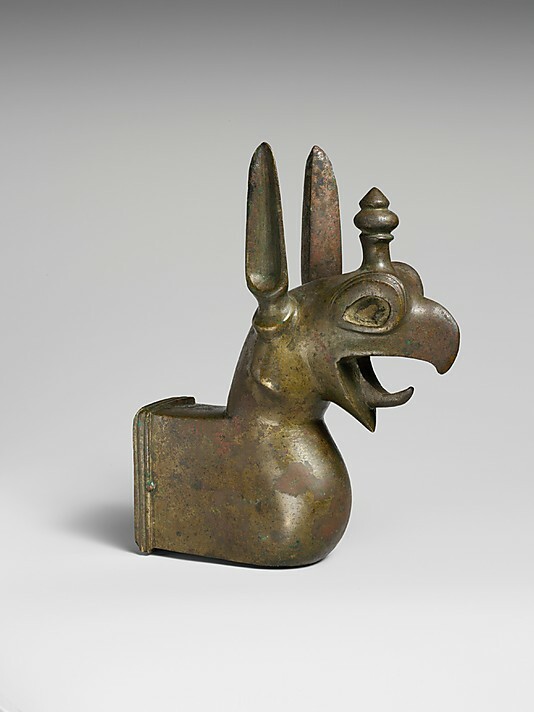 Although this is completely contradictory to the function that this bronze holmos mimics, this is technically possible. But there is other evidence that contradicts such a use. 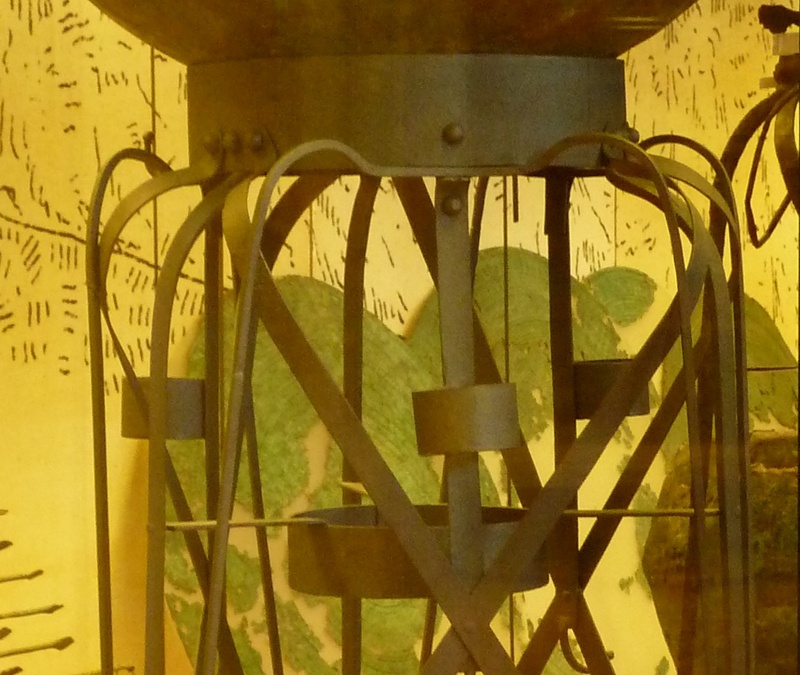 If we consider the tripods as supports for incense burning, and if we look closer to all available tripods, we see that all of the tripods have supports to put fire under the recipient that contains the incense. So it looks like the incense was heated, not burned. Mrs. Hamilton Grey, who visited the RG tomb in 1838, describes in her book Tour to the sepulchres of Etruria, pg. 25 : “…a tripod, with a vessel containing some strange looking lumps of a resinous substance, and which on being burnt proved to be perfumes so intensely strong, that those who tried them were obliged to leave the room“. So maybe the incense was not supposed to be burned, but to be heated. In the same book, Mrs. Hamilton Grey writes (pg. 334) on the other hand: “One vase for perfumes, also made of bronze, stood towards the entrance, consisting of three globes, one above the other; near to which there was something like a candelabra, and beyond it, just at the door, was a tripod surmounted by a vessel in which incense had been burned, probably during the funeral rites, to prevent infection.” This description again hints at the same conclusions above: at the entrance, there was a holmos without any other vessel on top, then an elaborated tripod (“candelabra”, see top image) without any vessel, then another type of tripod with a vessel on top, in which we can locate the resinous incense that she describes on pg. 25. 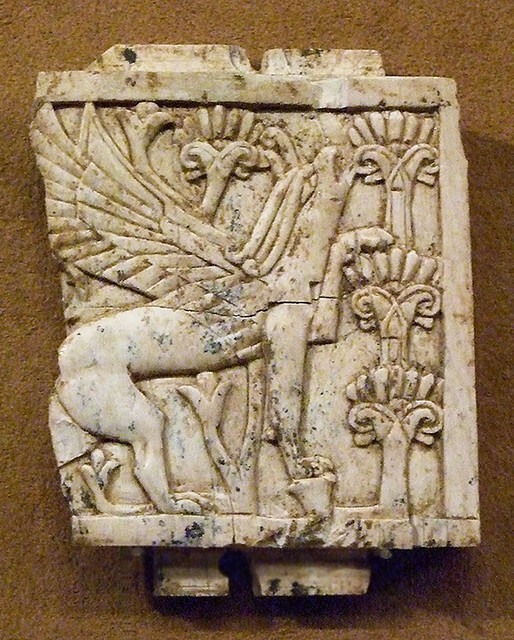 All this brings us to the conclusion that in the cella, there were incense burners with even incense in them, while in the antechambre, all supports, that can be interpreted as incense burners, are empty. 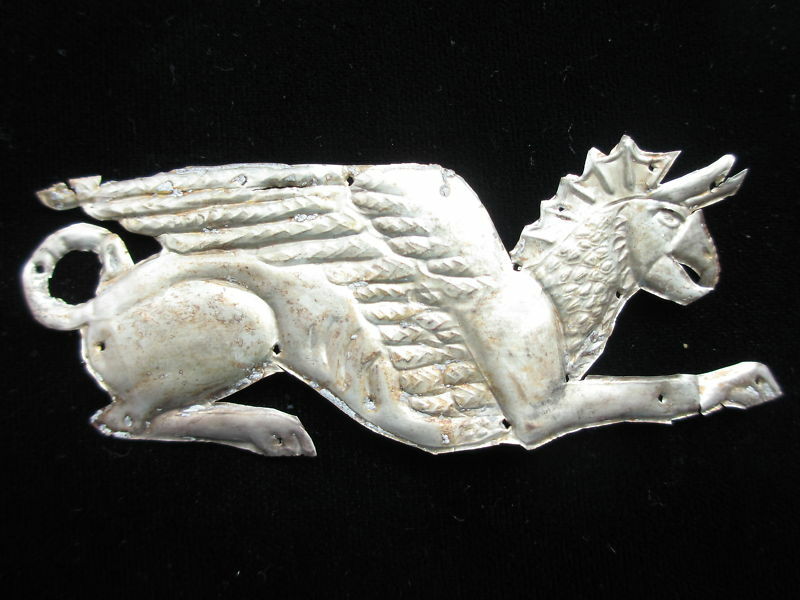 This looks pretty much like another mystery… One of the next blog entries will try to solve this mystery !